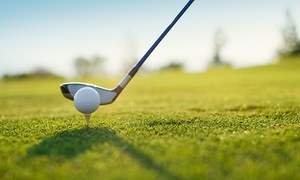 St. Louis, MO: ITC Systems is proud to announce that they will be sponsoring a hole at the annual Friday Night Lights Golf Tournament benefiting the Louisville Slugger Vipers 11u Baseball Team on Friday May 17th, 2013.  St. Louis is a beautiful city and I love golf. We are always excited to give back to the community and support our youth, says Cam Richardson, the CEO of ITC Systems. ITC Systems USA office opened in St. Louis, MO in 2001 as part of the acquisition of ACT Stored Value Card Reader. Since then it has become the major hub for ITC Systems North American operation. ITC Systems Director of Sales, Lisa Berta will be at the event cheering her son and the rest of the participants on. The money raised from this tournament will go towards funding a big tournament for the Vipers baseball team. ITC Systems wishes all the participants and families a fun filled evening of golf.